I’ve just returned from a trip to Europe to teach and to lecture. I was invited to give a lecture at the Herrenhaus Borghorst by the kind invitation of Caroline Hatlapa. The hospitality was tremendous, the setting magical, and the guests intensely interested in riding in lightness. I presented a lecture with a multi-media component and lots of question and answer time. We had great discussions, open and direct, about true classical equitation, systematic training, and the need to ride with more compassion and care for the horses…..especially in a competition setting. It was my pleasure to observe many fine riders and horses during the two day clinic that my friend Gerd offered at Borghorst. As we were in the state of Schleswig-Holstein, there were marvelous warmbloods, BIG HORSES, in the clinic. Thank you, to Caroline and Helena Hatlapa, Maike Theiler and Dr. Gerd and Johanna Heuschmann for such a memorable visit to the north of Germany. I am delighted to tell you that I’ll be offering a clinic at the Borghorst later in the year, with full details soon on this blog and on the website and facebook clinic schedules. Following my visit with Caroline and her daughter Helena, I went to Munich to give a clinic to a great group of riders assembled by my friend Isabella Sonntag. Isabella is the founder of Wu Wei Verlag and publisher of my latest book in German, Wege zur Leichtigkeit in der Klassischen Dressur. Everywhere I go in Germany I am greeted by students that are absolutely hungry for a new way of riding and communicating with their horses. I am deeply encouraged by this and hope to see this desire flooding into the competition world. 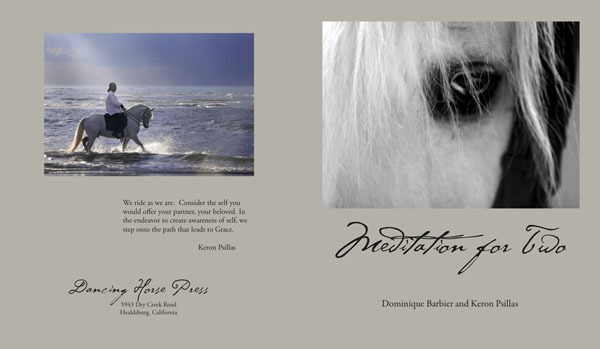 It gives me hope that we will all develop deeper compassion for our horses, our partners. I’ll be back in Munich teaching in late September (around the 24th) and will post more info next week. Thank you, to Isabella and Christina, and to all your team for a great clinic. Immediately prior to my trip to Germany, I was with all my Chicago friends at Jill McCrae’s farm in Grayslake. It is such a pleasure to see all of the horses progressing so well. At the end of the clinic I was treated to an advance performance of their upcoming Elegance on Horseback event. Jill, Georgette, Betheny, and all their students love to ride and perform in costume on their wonderful Lusitanos. If you are in the Chicago area, go check it out! Thank you, Jill and Jeff, and all my friends for another great weekend…..and to Zorro the baby raccoon for all the entertainment…..see you in August!